Too many of our fundamentalist Christian, non-Christian, pagan, and atheist sisters and brothers focus on the Bible and completely overlook Jesus. But you don’t need the Bible to get to Jesus. Hundreds, thousands, perhaps tens of thousands of people learned about Jesus and became Christians before there was Bible. Let me explain. First . . . let’s throw out the Bible. If you don’t believe it, then the Bible can’t be used to prove the existence of Jesus. Let’s go back to before there was a Bible. The first followers of Jesus/Josh are also mentioned other times in Roman history. The Romans regularly executed more people than the state of Texas, and Jesus was one of those criminals killed by the government. For 30 years after his death, people walked around the Roman Empire and other areas of the ancient world saying they had known, seen, or heard Jesus in person, or they saw the resurrected spirit of Jesus. Parents told their children what they had seen Jesus do, and those children told their children, and others. How do we know? Because there were documented Jesus followers less than 50 years after his death. When a massive stone is dropped into deep water, the rock quickly disappears, but the energy of the waves persist long after the stone is out of sight. Long after a fire has been extinguished, the smell of smoke remains. A few decades after the execution of Jesus, his followers remained. Let me make it plain: In this metaphor Jesus is the rock, the water is the stream of time, and the waves are humanity. The existence of waves demonstrate the existence of the rock, because the rock continues to affect people to this day. Despite the effects of the rock, once it disappeared beneath the surface, some demand to know the color, shape, size and origin of the rock, demand to know the exact time and date the rock was dropped, and eventually, just deny the rock was ever there. Non-Christians can deny everything they want to deny, but the fact is the waves — the people affected by the rock, have been around for nearly 2,000 years. The presence of followers of Jesus may be circumstantial evidence, but it is evidence, all the same. A conclusion by exclusion, independent of the Bible, tells us something happened to alter the tide of human progression. As the Jesus movement grew, so too did the opposition. The first Jesus followers attracted attention. They shared the stories of their experiences with anyone who would listen. But it wasn’t easy. Despite their efforts, they remained on the fringe of the dominant culture and the region’s dominant religion. Most of the first Jesus witnesses were Jewish, but many were rejected by the majority of Jews. The Israelites were sanctioned by the Roman government, but the new Jesus followers were not. The Jesus followers refused to pay the Jewish Temple tax and they refused to worship the Roman gods, so they weren’t accepted by either group. In fact, the Jesus followers came to be called Christians, not out of respect, but derisively. In 64, about 30 years after the execution of Jesus and while some eyewitnesses were still alive, much of Rome was destroyed by fire. Emperor Nero blamed Christians for the destruction and encouraged their persecution. The way the Roman government executed Jesus followers is common knowledge. Christians were given the opportunity to save themselves by renouncing Jesus. Many were burned, crucified, eaten alive by lions, or died in some other nasty way. If they had simply denied Jesus, they could have avoided certain, torturous death. Roman coliseums were filled with dead followers of Jesus before the letters and documents of the Bible were written and within enough time for the children and grandchildren to have heard the teachings of Jesus or his apostles and disciples first, second, or third hand. Why were they willing to die, rather than pretend to worship Roman gods and save themselves? Why was their belief so strong, that it overpowered basic survival instincts? If they had denied Jesus 1,990 years ago, then the Jesus-cult would have died off, like nearly every other religion of the region. If they had denied their story about the so-called-Christ, then their fantasy would have died with them. But they didn’t deny Jesus. They suffered and died, rather than deny him. Because they couldn’t deny the truth. Jesus followers suffering in the name of their God impressed Roman audiences. And so the story of Jesus, and his followers, grew. By the year 70, the Roman government cracked down on the Jewish people, leveled the Temple and destroyed Jerusalem. The Jesus followers also scattered, but they continued to spread the word. When you look at history, ALL of the history of Christianity and the time it was born, it comes down to the people, the eye-witnesses of Jesus, who are the very foundation of Christianity. Their faith was strong enough to convince others, because they knew Jesus the man, and Christ the resurrected God. People claimed they met a man who performed miracles in the name of God. And they dedicated themselves to that man. No threat of punishment or persecution was enough to turn their faith or silence their story. The tradition goes back to the day the resurrected Christ ascended into heaven, because it’s true. People saw it happen, and they told other people what they witnessed. They told people, who told people, who told people, who told people. The Bible has nothing to do with it. Jesus lived. He died. He was resurrected. He ascended. In a time when the world was nearly universally illiterate, a few of his followers began writing down stories about Jesus — stories so significant they were remembered and recorded. The Bible isn’t the source of Christian faith, it was the product of Christian faith. This entry was posted in Uncategorized and tagged Bible, Bible history, Christian history, early Christians, Jesus, Josephus, Nero, Romans, Temple. Bookmark the permalink. Christians could all do with a grounding in early Christian history. And wouldn’t it be nice if we could divorce the following of Jesus entirely from the Bible, except where it purports to speak his own words (and take that with a grain of salt as well)? The argument for the historical Jesus made here is a good one, but overlooks one critical piece of the story of early Christianity. The real ‘Jesus Movement’ began with Jesus’ apostles and their followers, remained fundmentally Jewish and Jerusalem-centered, and soon died out with the Roman destruction of Jerusalem in 70 A.D..
What we now know as Christianity came entirely from the movement created by Saul of Tarsus, the self-declared apostle Paul, who never met Jesus, much less personally heard his teachings, and who (arguably) cooked up modern resurrection theology entirely in his own (possibly epileptic) mind. This movement would go on to root out and viciously crush all other Christian sects, hunting down and destroying their texts, and eventually inventing a biblical canon based on Pauline doctrine (I like to call it “Paulianity”) that would become the St. James Bible. 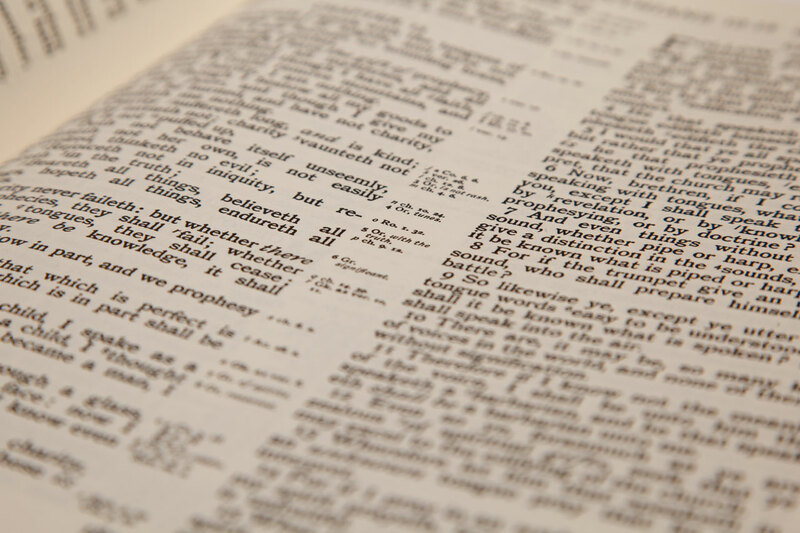 To the extent that the modern Bible contains the teaching of Jesus, it remains highly suspect, and there is a strong argument that we should be relying more on recently discovered texts like the Gosple of James and the Gospel of Mary Magdalene. I think that one of the most compelling questions truly is why there were any Christians at all under the reign of Nero (I know that other Caesars were also vicious, but this was quite extreme). Another is why the debate among the Jewish people has always been concerning whether Jesus was an Egyptian sorcerer and/or what the disciples did with the body. His existence isn’t debated, nor the miracles and healings, just what happened to his body after his death. Yeshua: not to argue, but a Messianic Rabbi, a Professor in Theology holding a Doctorate in that says His name is Yahshua, meaning Yah Saves. Interesting! Thanks for such a necessary and interesting post.